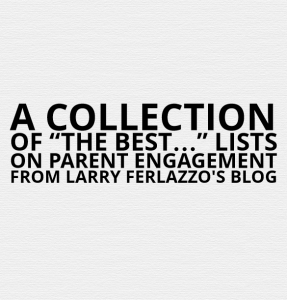 The Best Resources On Parent Engagement In Countries Other Than The U.S.
I’ve written quite a few posts about parent engagement in countries other than the United States, and decided to bring together the best resources into one list.You can see all my parent engagement-related “The Best” lists here. Parents Get Stuck In is the headline of an article in the Irish Times about parent involvement in that country. Education must spread beyond school is the headline of a Financial Times article discussing a New Zealand study on the topic, an international survey, and parent involvement efforts in the Middle East. If you click on the link, you may or may not be prompted to register on the site for free in order to access the article. If that happens, you can either access it or just search for the article on the Web. Clicking on it via search results will gain you immediate access. Improving Parental Involvement in Children’s Education is the title of a series of online presentations and discussions among Jamaican educators and parents. It seems pretty interesting, and you can see a list of the topics they’ve been covering on the right of the page (along with links). “Engagement must not stop at the gate” is the title of an op-ed published in the Sydney Morning Herald. Its author is the president of the “Australian Council of State School Organisations.” I’m not sure if that’s the Australian equivalent of the PTA or the national association of School Boards. Perhaps a reader can enlighten me. “For parent academies to be successful they really have to function based on parent voice, so parents tell us what they want to learn and we invent an adult learning model to support that request,” Jim Spyropoulos, a TDSB superintendent overseeing the academies, says. I just wish it didn’t sound so “social worky” and they were thinking in terms of parents having more of a voice in running the academies, too. That may be the case, but it is not the impression given by the article. A new study by researchers at the University of Leicester and University of Leeds has concluded that parents’ efforts towards their child’s educational achievement is crucial — playing a more significant role than that of the school or child. 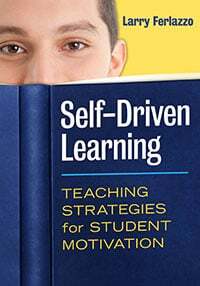 The researchers found that parents’ effort is more important for a child’s educational attainment than the school’s effort, which in turn is more important than the child’s own effort. The study found that the socio-economic background of a family not only affected the child’s educational attainment — it also affected the school’s effort. You can read more at the above link. Lorna Constantini from Parents as Partners and Dorothy Gossling have created a Parent Tool Kit and accompanying Planning Parent Engagement Guidebook that is being distributed to all school boards and schools in Ontario. It’s a great piece of work and useful to anybody, anywhere. You can get free copies — in English or in French — here. Beyond the school gate: How schools and families can work better together looks like an important report from two organizations in the United Kingdom, Parentline Plus and the Teacher Support Network. An extensive paper titled Parent Involvement in Inclusive Primary Schools in New Zealand: Implications for Improving Practice and for Teacher Education was recently published. I don’t necessarily think it’s particularly insightful, but it is interesting to see what’s going on there. Here are a series of 21 videos demonstrating how schools are connecting to parents in the United Kingdom. Collaboration and communication as effective strategies for parent involvement in public schools is an interesting research paper from South Africa. Thanks to Steve Constantino for the tip. New Zealand parents have forced their government to back-down from planned increases to class sizes. You can read about it at Parents help win class reprieve. The European Parents Association seems to be an organization of all the PTA-like groups in Europe. I hope someone out there will correct me if I’m wrong. It seems to have some useful information. The Australian Council of State School Organisations seems to be the primary national organization for parents in Australia. There are quite a few resources on their website. Joe Mazza is back from a visit to schools in Finland, and has written a great post — including video interviews with a parent — titled The Voice of the Finnish Parent. A research report on parent engagement in the United Kingdom has been released. The Rapid review of parental engagement and narrowing the gap in attainment for disadvantaged children doesn’t seem to anything that would be new to people involved in parent engagement efforts. I did like that it talked about “instances of parents from ethnic minorities telling stories in class in their community’s home language, or attending school themselves for language and literacy classes.” I’ve written about that and how I’ve done it in my classes, but haven’t seen it talked much about in other areas. I also liked that it mentioned how important it is to “stress the need for a genuine collaboration between parents and facilitators, with a two-way exchange.” However, a big disappointment was that it didn’t seem to follow up that statement with specific examples highlighting how that was done. ‘Pay teachers more instead of free laptop’, Kenyan parents say is the headline of an interesting newspaper article. The Kenya National Association Of Parents opposes the $700 million dollar government deal with Microsoft to give free laptops to students because of the present shortage of teachers, the bad working conditions of present teachers, and the lack of preparation for the technology program. I don’t know the specifics of Microsoft’s program, though the mixed results of the One Laptop Per Child program does raise some questions about what they might be doing. There’s a much bigger question, though — Again, I don’t know the details, but perhaps Kenyan parents should have been consulted prior to such a major education policy decision? Meet the Parents starts a welcome grassroots movement: local people speaking up for their schools is an article in The Guardian about parents organizing in the United Kingdom to help people see the good things that are happening in regular public schools in an effort to encourage them not to enroll in the UK’s equivalent of charters (at least, that’s my reading of what they’re doing — let me know if that’s an inaccurate summary). Black Parental Involvement In South African Rural Schools: Will Parents Every Help In Enhancing Effective School Management is a research paper containing the results of interviews with South African principals and principals. It’s relatively short for an academic study, and very accessible — definitely worth a read. A report has recently come out on pretty amazing results that came from making home visits to families in Jamaica. You can read an article about it in the Pacific Standard as well as the original research study. Smarter Schools National Partnership Family–School Partnership is an Australian initiative that looks pretty impressive. They have a lot of good resources at their site. I’ve embedded a short animation that’s there, too. The Guardian reports on a new British parents group called Parents Want A Say. While the group’s initial focus is on changing the policy on term-time absences, Langman says it is only one of many areas where parents feel that they are not consulted in decisions about their children’s education. Ultimately, he says, Parents Want a Say will branch into other issues, aiming to “bridge the gap between parents and education”. DET plugs parents into learning that includes links to several new parent engagement resources from Australia. None of them seem to share much that will be new to most educators, but some of the resources for families might be useful. Scotland seems to be importing some ideas from the United States, and you can read about it in an article headlined Radical shake-up of parental involvement in schools. This entry was posted in Best of lists, countries other than U.S.. Bookmark the permalink.